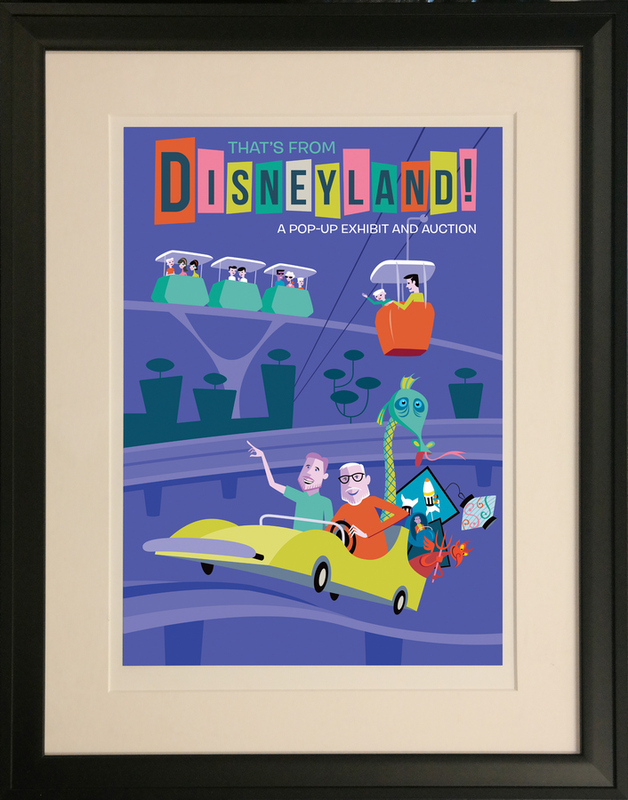 This is a limited edition print celebrating our August 2018 Disneyland auction and exhibition, That's From Disneyland. This archival giclee on paper print features the event imagery that was designed by acclaimed modern artist SHAG, specifically for the event, and was used on the catalog, shirts, totes, and most other event marketing and merchandise. The print itself measures 19.75" x 13.75" and was produced in a strict edition size of only 300 prints. Each print is hand-numbered and hand-signed by Shag. 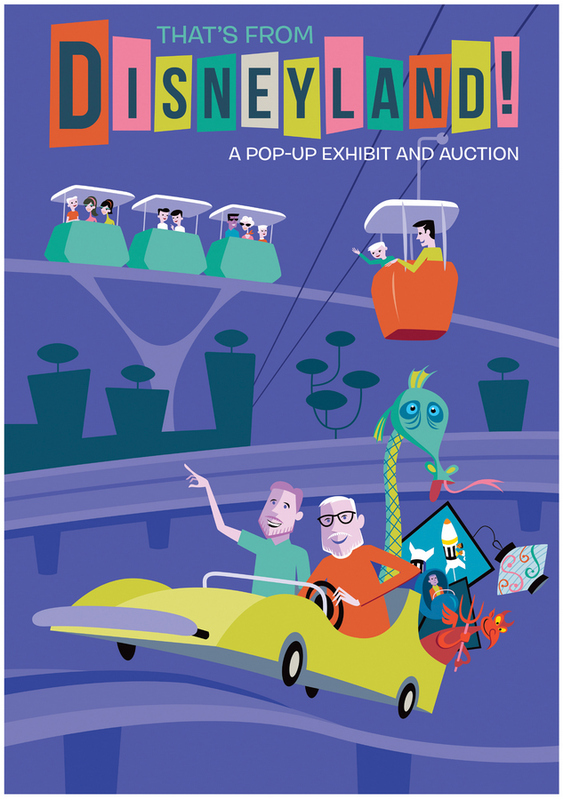 The imagery features Richard and Nicholas Kraft driving in an Autopia car as they collect pieces of Disneyland memorabilia, and depicts imagery of the Sea Serpent from the Submarine Voyage, Monorail, Skyway, and more. This print is being sold unframed, but for an additional $200, you can have your limited edition professionally framed as shown in the additional image, measuring about 29.25" x 23" framed with mat opening measuring at 21.25" x 15".